To kindle community concern for the library as a prime cultural and educational asset. We are a nonprofit organization dedicated to the enrichment of library services and programs. 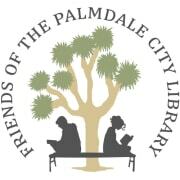 Through fundraising and volunteer efforts, we are able to provide financial assistance and promote enthusiasm for the Palmdale City Library. Would you recommend FRIENDS OF THE PALMDALE CITY LIBRARY?